What gas is the Sun made of? Although it may look empty, space is filled with gas and dust. Most of the material was hydrogen and helium, but some of it was made up of leftover remnants from the violent deaths of stars. Waves of energy traveling through space pressed clouds of such particles closer together, and gravity causes them to collapse in on themselves. As the material drew together, gravity caused it to spin. The spin caused the cloud to flatten into a disk like a pancake. In the center, the material clumped together to form a protostar that would eventually become the sun. The young protostar was a ball of hydrogen and helium not yet powered by fusion. 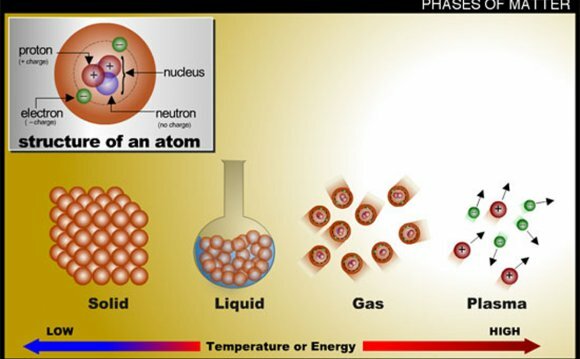 Over the course of about fifty million years, the temperature and pressure of the material inside increased, jumpstarting the fusion of hydrogen that drives the sun today. Correction: This article was updated Jan. 18 to correct an error in describing the sun's eventual fate.